Charge your LiPo batteries with complete confidence using the HPI Plazma Pouch LiPo Safe Bag! 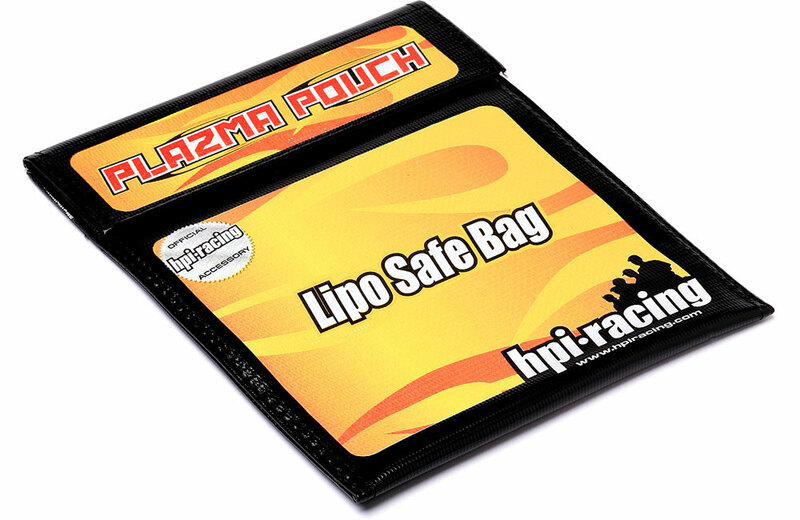 The HPI Plazma Pouch is the ultimate protection for LiPo batteries while storing, charging or cycling your Plazma LiPo batteries or any other brand of LiPo batteries. 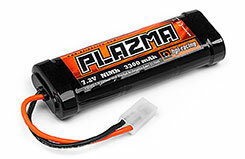 The Plazma Pouch is flameproof and provides protection from overcharged or damaged batteries while they are being charged or stored in the Plazma Pouch. Fully programmable ABS, drag brake, braking force, reverse force, motor timing and punch allows you to totally customize the feel of the Rage to your driving style and needs. You can even use the HPI #101856 programmer to make the adjustments even easier. 5 Cell Ni-MH BAJA Hump 3+2 Receiver Pack with Tamiya Charge Plug & std Futaba Plug. Use the HPI Plazma receiver pack in any of the HPI Baja vehicles for extra-long runtime and maximum power for your servos! Suits E-SAVAGE. Genuine HPI quality spare part for easy maintenance and repairs. 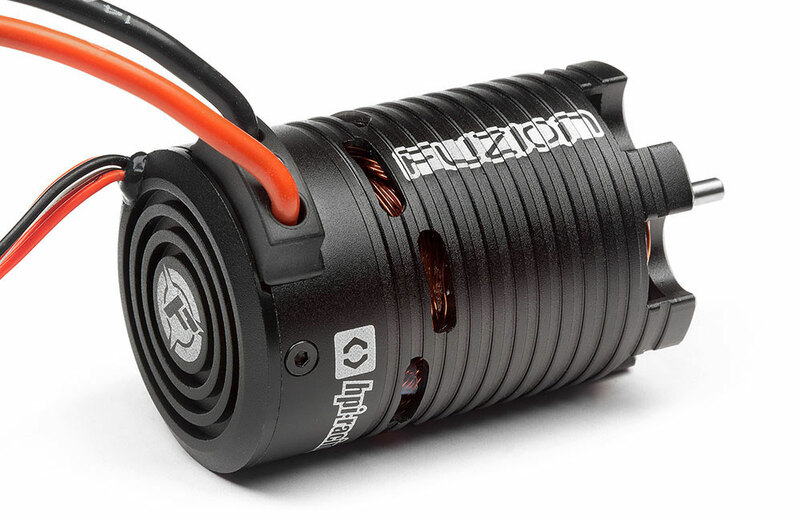 The HPI FLUX range has been setting the standard for ease of use, durability and performance for years, and now it's time to introduce the next step of FLUX tech: the amazing Fuzion! 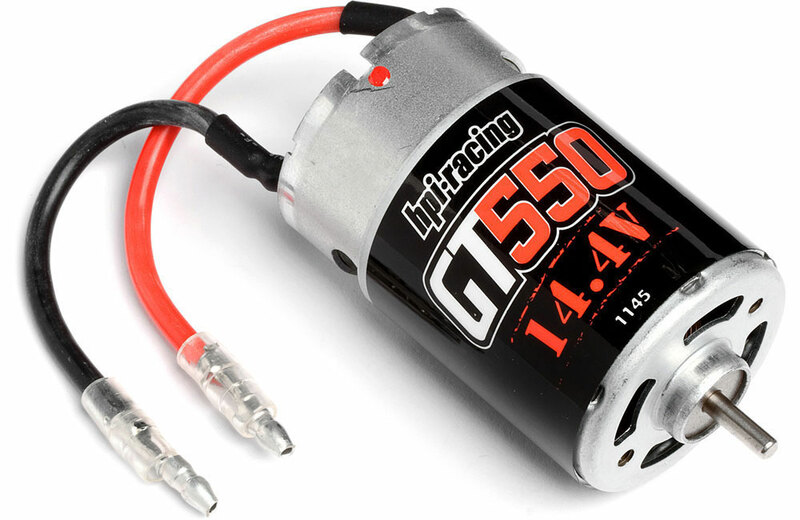 This is a 540-size brushless motor fitted with a powerful and convenient electronic speed control - right inside the motor case! With a smaller overall package, you get less weight, fewer wires and a much easier and neater installation - You get brushless power in a smaller and more user-friendly package! 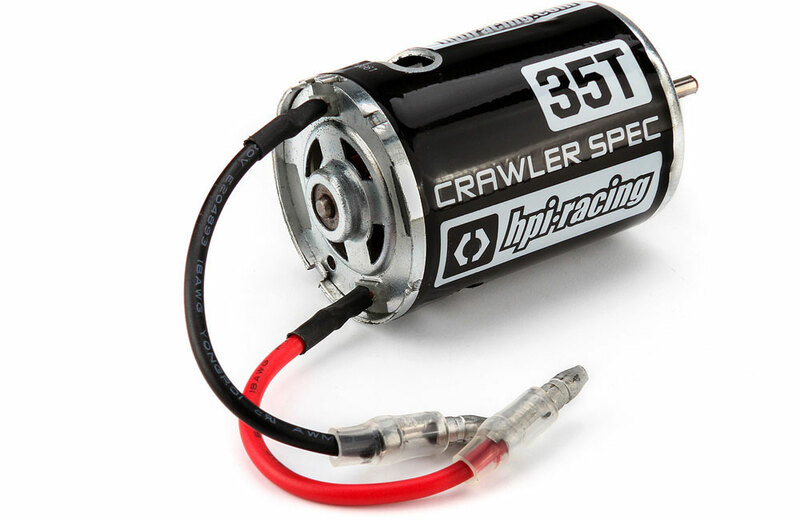 Ideal for rock crawling, this 35-turn motor features a high number of winds for extra torque when climbing steep hills and tough terrain. The lower the number of motor turns, the faster the motor is. Higher turn motors are slower, but have more torque. NOTE: Before driving in wet conditions, make sure that other electronics fitted to the vehicle are safe to use (marked as water-resistant or waterproof), or that they are fully enclosed and protected from water and moisture (such as in a sealed receiver/battery case). 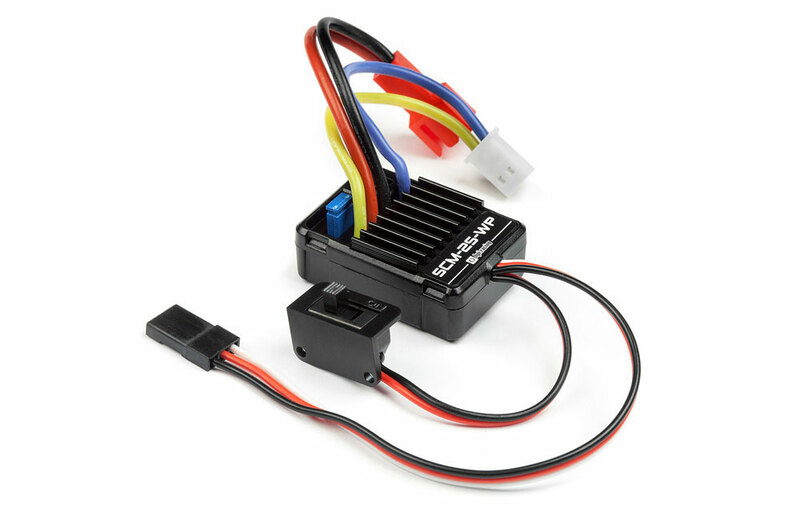 Fans mounted on speed controllers are not water resistant - we recommend to disconnect the fan from the ESC before driving in wet conditions and allow it to dry fully before reconnecting the fan power. Lubricate exposed metal drivetrain parts such as bearings, outdrives and diff shafts before driving in wet conditions. 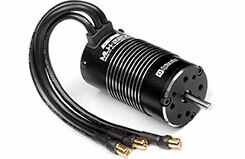 Motors are not intended for submerged use and may be damaged if used when under water. After driving in wet conditions, make sure to rinse off dirt and any corrosive liquids like saltwater with plain water and re-lubricate metal drivetrain parts. 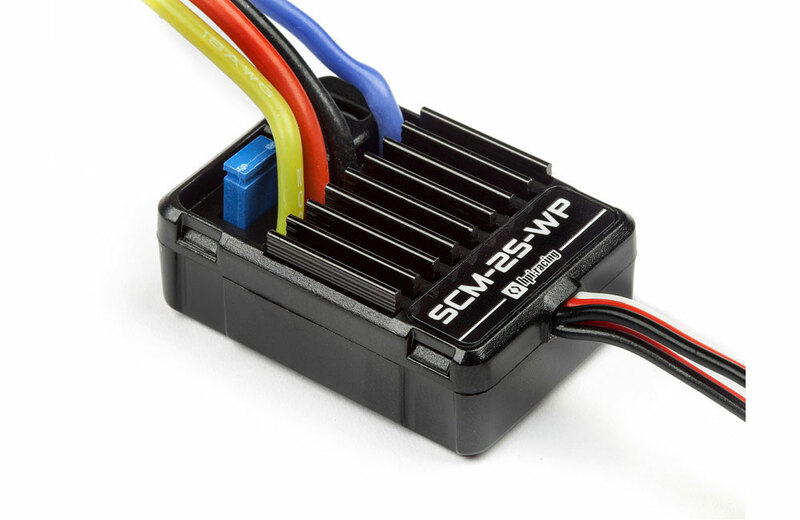 The SCM-2S WP is a small and durable electronic speed controller that is suitable for Micro RC vehicles of all types! The SCM-2S WP is also fully waterproof, making it the only choice for anyone who enjoys driving their car in wet conditions. The SCM-2S WP is suitable for 5-6 NiMH cells, as well as 2S LiPo with a low voltage safety cut-off fitted to protect your LiPo batteries. The Flux MLH-2200 is the centerpiece of our latest 1/8th scale brushless-powered vehicles. If you're looking for jaw-dropping and awe-inspiring power for your 1/8th scale off-road vehicles, this is where you can stop looking! The Flux MLH-2200 will give you more than enough power for anything you're looking for: giant air stunts, multiple back flips, colossal top speeds, and wheel-spinning sideways action! 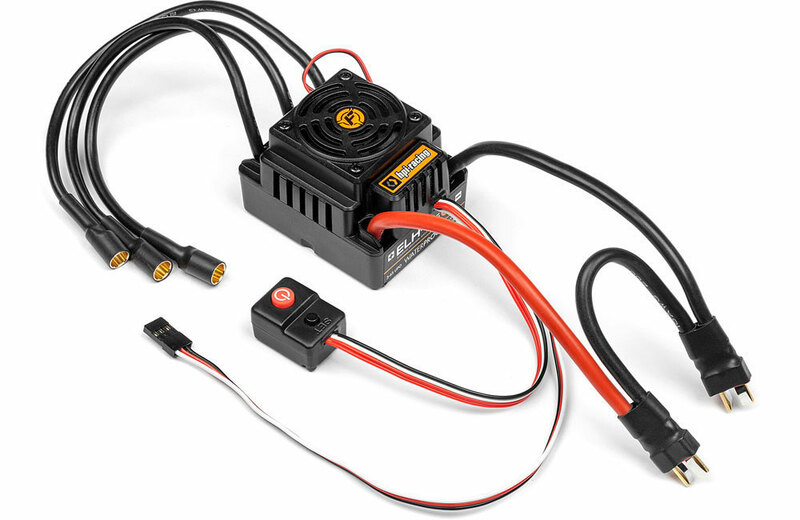 Featuring the sleekest heatsink design of any HPI 1/8th scale brushless motor case, the Flux MLH-2200 has 11 heat-radiating ribs circling the black-anodized case. These fins help dissipate the heat that the motor will generate as it spins up to thousands of times per second to give you the awesome stunt action you want to get out of your RC car or truck. 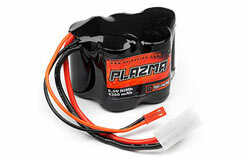 With the ability to handle twin 3S LiPo batteries (that's more than 22 volts of LiPo power! ), the Flux MLH-2200 can deal with anything you can ask of it! 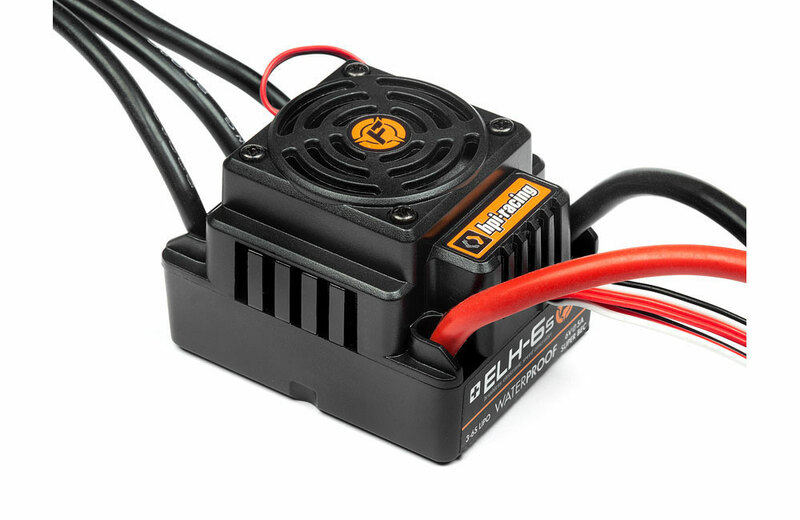 6.5mm bullet connectors on 12-gauge motor connector wires transmit maximum power from the speed controller for instant wheelie or dirt-throwing action. With a 5mm motor shaft, you can fit any of the available optional pinions for your Vorza, Savage Flux HP or Savage XL Flux. The Flux MLH-2200 has a 4-pole rotor for high torque, fast acceleration response, and stable power output. The machined aluminum housing, alloy steel output shaft, and high-precision bearings ensure high durability and smoothness. Please note: The Flux MLH-2200 must be used with an ESC that can handle the immense power it requires, the #120021 Flux ELH-6S Waterproof ESC is the perfect match! The Flux ELH-6S ESC is the perfect match for the #120010 Flux MLH-2200 1/8th scale brushless motor - it's able to pump up to 150 amps of power to the motor for amazing stunts like giant jumps, multiple back flips, colossal top speeds, and wheel-spinning sideways action! Complete waterproof protection means you can take your truck equipped with the Flux ELH-6S into territory that would scare off other drivers: puddles, mud, beaches and more! A large fan sits on top of the case inside a protective cover to keep things cool when the weather's warm and you've been driving up to 950 amps of power (maximum boost current) through the speed controller. Extra-thick 12 gauge wires and 6.5mm bullet connectors lead to the motor, while a pair of polarized connectors let you attach any batteries equipped with Deans style or Star plugs. Finally, a sealed electronic push button on/off switch with a long cable let you put the button just about anywhere you want on your car or truck. With the ability to handle twin 3S LiPo batteries (that's more than 22 volts of LiPo power! 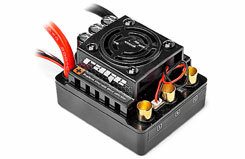 ), the Flux ELH-6S ESC is the perfect way to control any 1/8th scale buggy or monster truck! 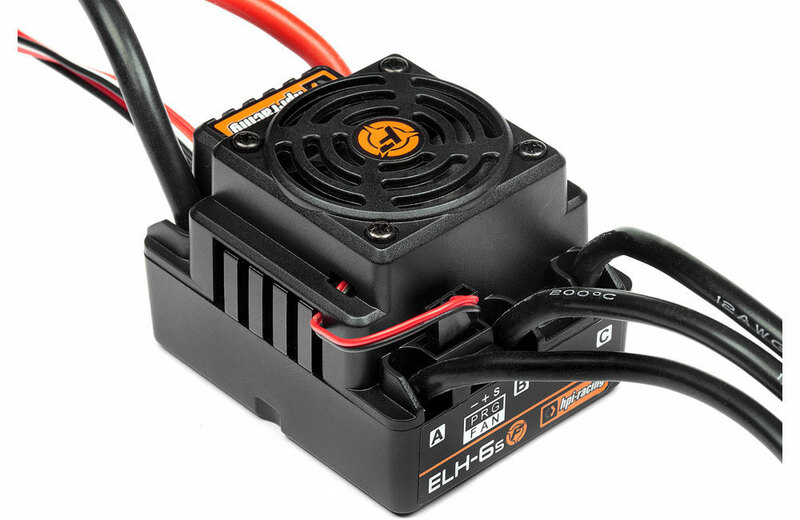 The Flux ELH-6S ESC & Flux MLH-2200 Motor requires very powerful batteries to get the most out of them - please make sure that you use the right combination! HPI highly recommend the use of matching, identical specification high quality LiPo batteries. Using batteries with low ratings, or the use of lower quality LiPo batteries, may cause damage to your batteries and/or speed control. Using batteries below the specified ratings may void the warranty of the speed controller and/or batteries.